Feared by critics to be a major and certain nuisance ​— ​if not potential death sentence ​— ​for all sorts of marine life, the high-energy seismic testing, which will include blasting large sound guns into the ocean, aims to determine how dangerous the many faults that run near and under the power plant really are. And while the testing was heralded by certain antinuclear energy organizations and supported by the State Lands Commission, criticism has only grown louder since the project’s environmental impact report revealed testing could result in the death of whales, dolphins, fish, and a variety of protected species. As a result of this criticism, PG&E is now planning to reduce the areas of testing from three zones to just one ​— ​the Estero Bay area ​— ​as well use the data harvested this year to better dictate where exactly it will test next year, the latter having the potential to further reduce the scope and scale of the project. They have also changed the proposal so that the testing will last for 12 days as opposed to 23. 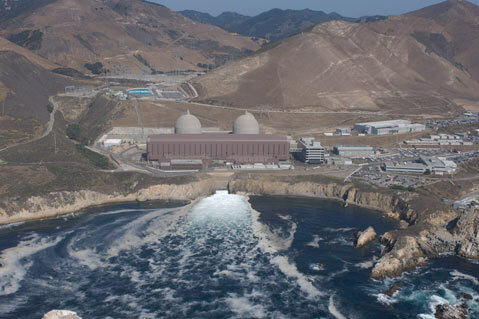 Though still assessing the meaning of the tweaks, Susan Jordan, whose California Coastal Protection Network is one of the many environmental watchdogs concerned with the testing, reacted to the news this week by saying simply, “I don’t really consider this an improvement. It looks like they just want to do less of the project now and the rest next year.” PG&E will take its modified plan before the Coastal Commission November 14 in Santa Monica.